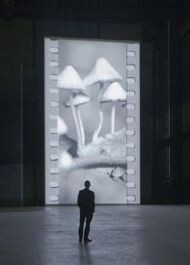 Top left: Tacita Dean – FILM (2011), installation view at Tate Modern, London. Photo Lucy Dawkins, courtesy the artist, Frith Street Gallery, London, and Marian Goodman Gallery, New York/Paris. 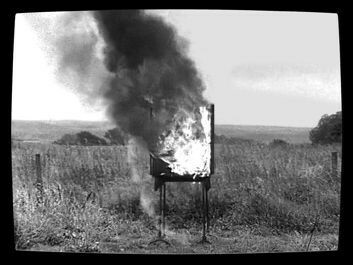 Top right: David Hall – TV Interruptions (7 TV Pieces): Interruption piece (1971), from the exhibition “Are You Ready for TV?” at MACBA. Courtesy the artist and LUX, London. 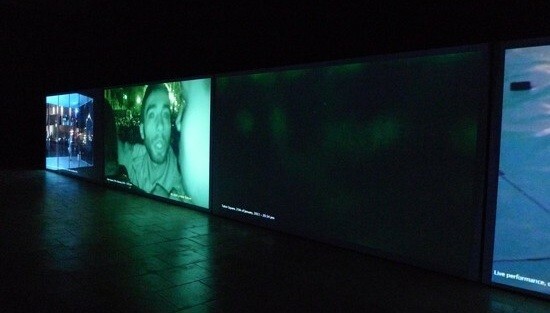 Bottom: Ahmed Basiony – Installation view of “30 Days of Running in the Space,” Egypt Pavilion at the 54th Venice Biennale, 2011. Photo ART iT. 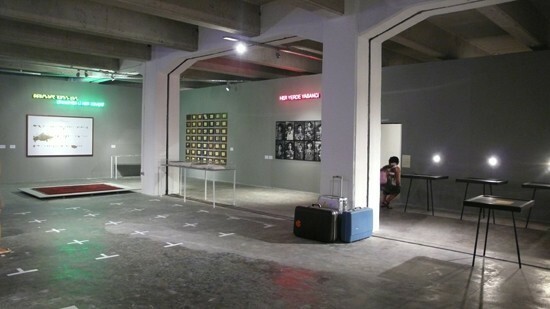 Top: Installation view of the group show “Untitled (Passport)” in the 12th Istanbul Biennial, 2011. Photo ART iT. Bottom left: Marta Minujín – Marta Minujín and Rubén Santantonín in La Menesunda (1965). Courtesy MALBA. 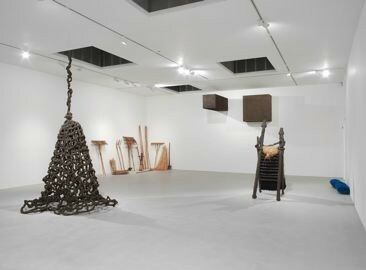 Bottom right: Pino Pascali – Installation view of “Pino Pascali’s final works 1967-1968” at Camden Arts Centre, London. Photo Andy Keate, © Camden Arts Centre. 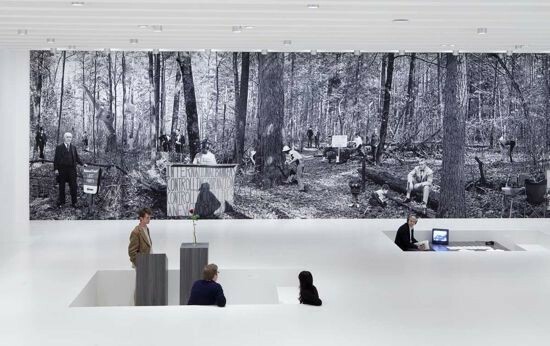 Goshka Macuga – Installation view of “Goshka Macuga: It Broke From Within” at the Walker Art Center, Minneapolis, 2011. 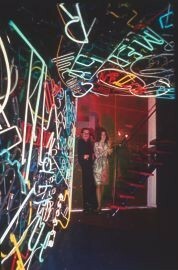 Photo Gene Pittman, courtesy Walker Art Center.